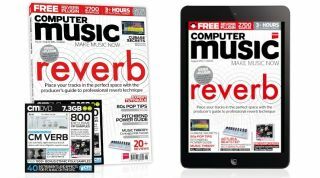 With our guide and this issue's fantastic FREE CM Verb reverb plugin, you'll learn how to place your tracks in the perfect space using professional reverb technique. See it all demonstrated with expert video for every tutorial! VIP Series: The Young Punx: 942MB of thumping drums, crusty breaks, dirty basses and more! Bring your melodies to life with spot-on portamento, vibrato and pitchbend techniques. Here's one of the videos from the tutorial. Chicane: The hitmaker talks tech from his mountain stronghold studio.